Drink Tasmania Premium Tours, Hobart, TAS. Information, Photos and Reviews. 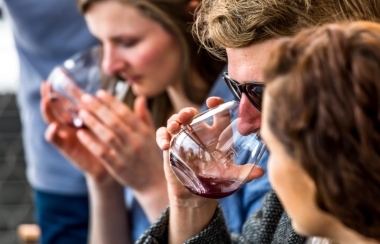 Drink Tasmania provides premium tours, which have been designed to let guests experience the best of southern Tasmania's award-winning craft beverages. We offer full-day and half-day tours. Our guides specialise in the craft beverages industry, having been winemakers, whisky producers, bartenders, restaurant owners and researchers. 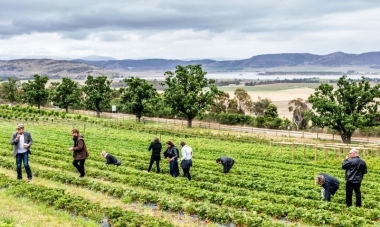 We have customised our tours to reflect what we love about the various industries in Tasmania and to show the vast diversities across producers. We have worked closely with industry to gain access to areas that aren't always available to the public. Our relationships with the producer is what sets us apart and is what makes Drink Tasmania's Premium Tours, truly memorable. 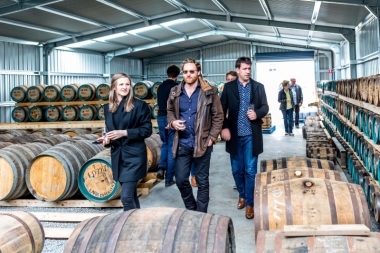 SIGNATURE TOUR: This tour offers you samples of the finest of Tasmania’s whisky, wine, beer and cider all in one fabulous day. Designed to experience the best of Tasmania’s award-winning craft beverages. The places we visit include Brooke Street Pier / Home Hill Winery / Pagan Cider / Willie Smiths Organic Cider / Lark Cellar Door / Sullivans Cove Whisky / Last Rites Brewery and more. 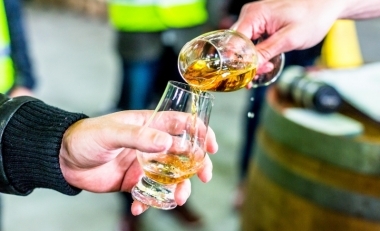 WHISKY TOUR: This tour will give you a special opportunity to meet the people involved in the industry, and allow you to get behind the scenes and taste spirit direct from the stills and sip whisky straight from the cask. The distilleries we will visit include Lark Distillery / McHenry Distillery / Tasmania Distillery (Sullivans Cove) / Belgrove Distillery / Shene Estate / Redlands Distillery / Nonesuch Distillery / Overeem Distillery. 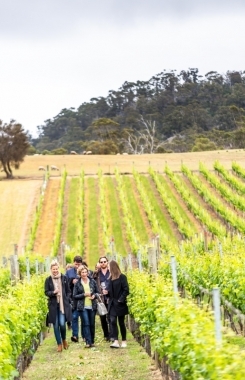 WINE TOUR: Today Tasmania’s wine industry is showcasing its true potential, producing multi-award winning wines and setting benchmarks for premium wine production in Australia. You will be introduced to five of southern Tasmania’s best wine experiences on our full day wine tour. The wineries and cellar-doors we visit include Domaine Simha / Frogmore Creek / Puddleduck Winery / Domaine A / Stefano Lubiana / Pooley Wines / Coal Valley Vineyard / Moorilla Winery / Home Hill Winery / Glaetzer Dixon and more. 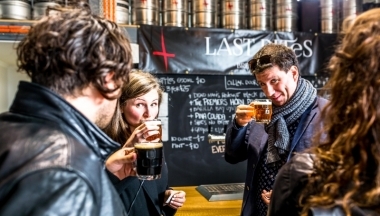 BEER TOUR: On this Tour we will take you inside the brewery to meet the head-brewers, hear their stories and of course sample the wide variety of beers they have on offer. 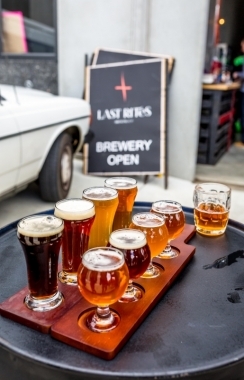 The breweries we will visit include Hobart Brewing Company / Last Rites Brewing Co / Double Head Brewing / Moo Brew / Captain Bligh's / Cascade Brewery / T-Bone Brewing Co / Winston Brewing Co / Shambles Brewery. CIDER TOURS: Let us take you to the heart of the Apple Isle in the Huon Valley; From Franklin to Middleton, Cygnet to Margate, visit the working orchards and hear the stories of Tasmania’s rich apple heritage, all while you traverse some of southern Tasmania’s most remarkable landscapes. PRIVATE & CORPORATE TOURS: If you have a birthday, wedding anniversary, celebration or would simply prefer to tour privately, then we would be pleased to customise your tour to your needs. Everything from meeting the individual head distillers through to romantic private picnic lunches on hidden estates. This Tour can be booked by appointment. 1/2 DAY WINE & CIDER TOURS: Tasmania is known internationally as the Apple Isle and on this tour you will visit the Huon Valley to taste award winning cider and wine. 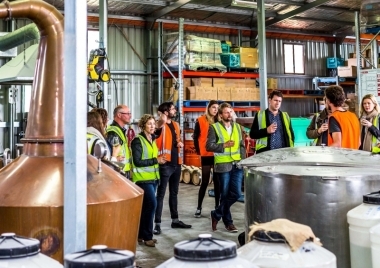 1/2 DAY WHISKY & BEER TOURS: This tour offers guests the chance to experience global awarding-winning Tasmanian distilleries and the best of our emerging craft breweries all in one afternoon. We operate tours every Thursday to Sunday. A tour examining the whisky distillery process at Lark Distillery. Tasting premium whisky on a Whisky Tour. Tasting pinot noir on our Wine Tour. Strawberry fields at Coal River Farm on the Wine tour. 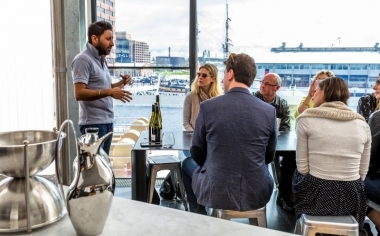 A wine presentation on Hobart’s waterfront at Domaine Simha wines. Visiting Last Rites brewery on a Beer Tour. Sampling beers on a Brewery Tour. Enjoying Lost Pippin cider on our Cider Tour. Exploring an 1819 hidden estate, turned whisky distillery on a Private Tour. 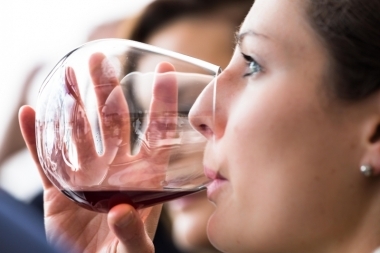 Nobody has reviewed Drink Tasmania Premium Tours yet, Be the first. You are submitting a booking enquiry. 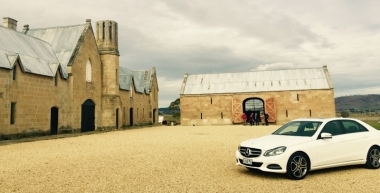 Drink Tasmania Premium Tours will then contact you by email with details of availability and prices.